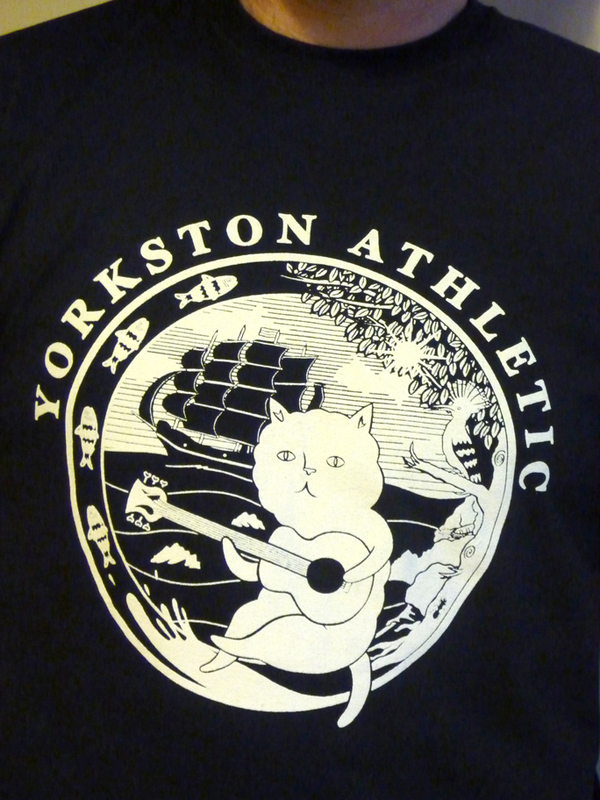 I've designed some t-shirts for James Yorkston. They have a cat on them. James is just heading off on a mega-carpet-sale three-piece-suite tour with The Pictish Trail and Seamus Fogarty, so head along to one of these dates if you'd like to snag one (I imagine they'll also be available at Gnomegame). 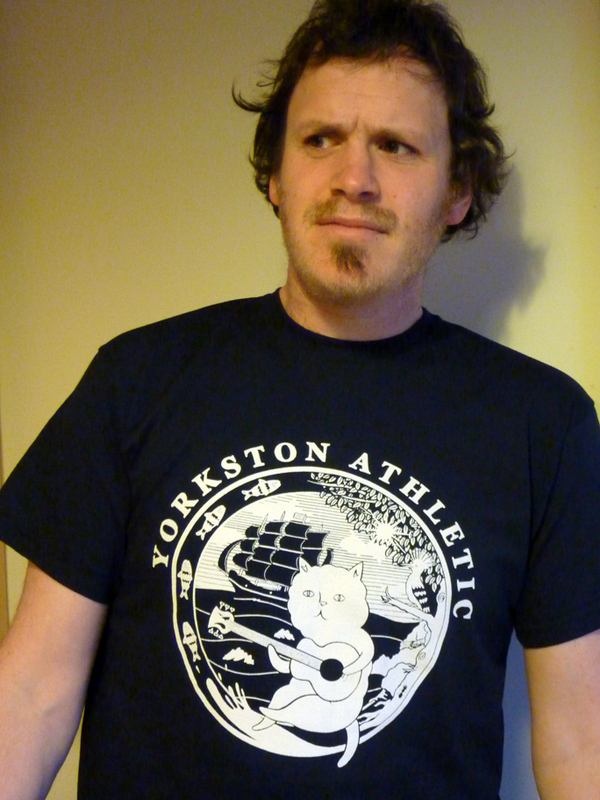 Here's Seamus here modeling the navy blue version. I should say, Seamus has some new t-shirts of his own as well, which are also pretty good. They have cows on them. And Pictish has some depicting the eastern seaboard of his face (do not feed the gulls). So. There are the main facts as they currently stand. That is all. 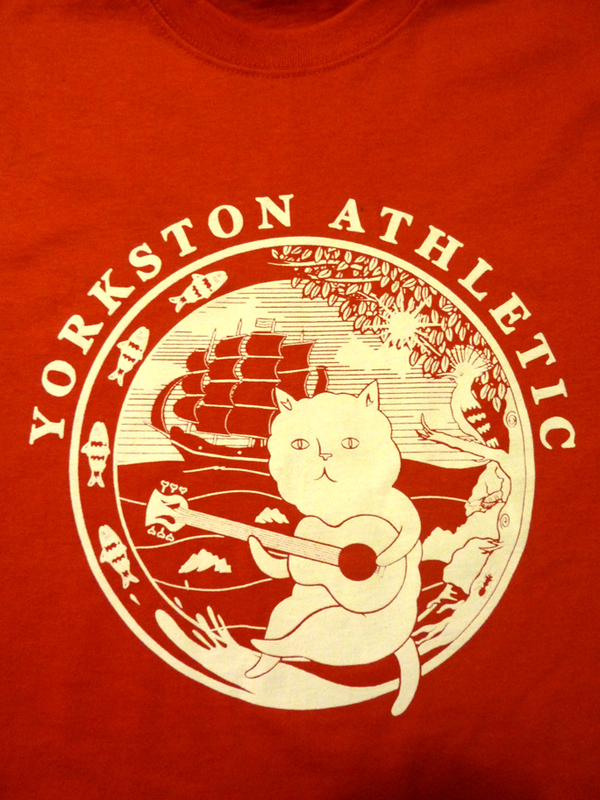 Good luck with the springtime and any fashion plans you may have for the season.